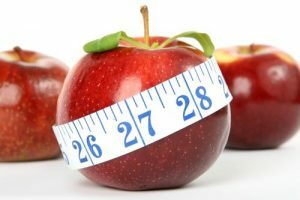 When it comes to eating healthy, your primary concern may be the short-term goal of losing weight. You may want to fit into a certain piece of clothing, or be in better shape for an upcoming event. 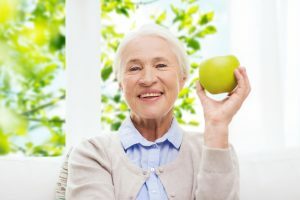 However, it’s important not to forget that eating healthy can ultimately help you to extend your life. A recent report reveals that one in five deaths globally was linked to a poor diet. There is not one definition of a healthy way of eating. This is because everyone has different health backgrounds, allergies, intolerances, and preferences that they are dealing with. The way your body reacts to certain foods and the health goals you have can affect what foods may or may not be best for your eat for optimal health. For example, if you have a condition known as irritable bowel syndrome (IBS), you would benefit from eating foods low in FODMAPs. This diet may exclude certain fruits and vegetables that contain certain starches that trigger digestive symptoms. Or, if you’re on a heart healthy eating regimen, you would eat some foods that are lower in sodium to stay healthy. So, what should I eat to be healthy? 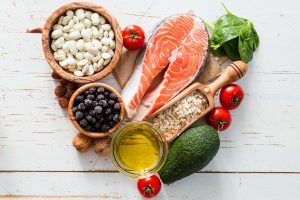 Therefore, researchers of this study suggest that people should consume a diet that is low in sodium and high in fiber-rich foods for optimal health. Some of these foods include whole grains, fruit, nuts and seeds, and vegetables. Also, a 2018 study review confirms this finding that a plant-based diet can help reduce inflammation in the body, induce weight loss, and improve quality of life. This health benefit of a plant-based diet comes from the antioxidant content of such plant-based foods. Fruit, vegetables, nuts, and seeds not only contain fiber and important nutrients like potassium and vitamin C. However, they also contain antioxidants that help reduce inflammation that can lead to chronic disease. Also, if you consume different colors of produce, you will reap the benefits of many different types of antioxidants. Besides eating a healthy diet, there are other ways you can improve your lifestyle for better quality of life. Exercise more to strengthen your heart and help you maintain a healthy weight. Staying active can also help you control your blood glucose levels. Quit smoking and limit alcohol: Smoking can constrict blood vessels and increase risk of heart disease besides hurting your lungs. and as far as alcohol goes, more than one standard drink a day for women or two standard drinks a day for men is not only harmful for the liver, but also contains empty calories that can impact weight and in turn can increase risk of inflammation and chronic disease. Take a daily multivitamin: This can help fill in the nutritional gaps that your current diet may leave. For example, Vita Sciences offers the complete multivitamin Zestia. Zestia contains plenty of vitamins and nutrients as well as probiotics and digestive enzymes. This in turn helps you maintain gut health, while making sure you receive all of the nutrients you need for optimal health each day. Schumann, M.Sc., D., et al. (January 2018) “Low fermentable, oligo-, di-, mono-saccharides and polyol diet in the treatment of irritable bowel syndrome: A systematic review and meta-analysis.” Nutrition, Volume 45, 24-31. Toumpanakis A, Turnbull T, Alba-Barba I. (October 2018) “Effectiveness of plant-based diets in promoting well-being in the management of type 2 diabetes: a systematic review.” BMJ Open Diabetes Res Care,6(1). Could turmeric help prevent glaucoma? Tunnel vision is usually used to describe someone with a narrow point of view. Taken literally however, it can describe the type of vision that results with untreated glaucoma. With eye injury prevention month coming to a close next week, it seemed right to talk about ways to prevent glaucoma. This is because those with eye injury are at a higher risk of developing this condition. A recent study has found that turmeric, a natural spice, may be the golden ticket to potentially prevent glaucoma and preserve eye health. 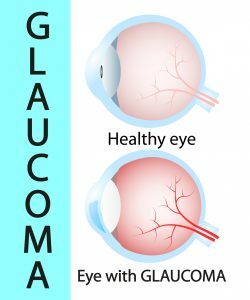 Glaucoma is not just one eye condition. However, it is a group of eye diseases that damage the optic nerve and can cause vision loss and blindness. Research suggests that eye pressure is a major cause of the vision loss caused by glaucoma. Another risk factor of optic nerve damage, and in turn, glaucoma, is high blood pressure. Even though it may seem unrelated to eat healthy to keep your eye healthy, there are blood vessels in your eye that get their blood flow from the heart. When high blood pressure constricts blood flow, it can cause pressure in the eye. In turn, this can cause vision issues. When you consider the heart health component of vision health, then turmeric as a preventive treatment makes sense. This is because turmeric is a natural anti-inflammatory agent. Since heart health issues stem from increased inflammation, then turmeric may very well benefit such conditions. Turmeric is a root plant grown throughout Asia and Central America. It is an important part of ayurvedic medicine as a treatment for inflammatory-related conditions like pain, fatigue, arthritis, and breathing problems. Curcumin is the active ingredient in turmeric due to its antioxidant properties which help prevent cell damage that can lead to chronic disease. Although it is consumed as a spice in foods, turmeric can also be consumed in tablets, capsules, tea, or extracts. A recent study shows that eye drops containing curcumin may help treat or prevent glaucoma. A rat study found that twice-daily use of the curcumin drops for three weeks helped reduce retinal ganglion cell loss. In other words, the eye drops helped preserve the cells in charge of delivering visual information from the eye to the brain. This study suggests that curcumin eye drops may be a treatment or preventive treatment for those at risk for glaucoma upon further study. Besides curcumin, there are things you can do today to help improve eye health. Eat right by consuming lots of antioxidant rich fruits and vegetables every day. This will help reduce inflammation in the body and in turn keep your eyes healthy. Keep your weight in a healthy range since obesity can increase risk of diabetes, which can in turn increase risk of vision loss. Protect your eyes with sunglasses or other eyewear like goggles or safety glasses. This is because you can prevent eye injury from sports or work accidents if your eyes are protected. Also, shielding your eyes from the UV rays of the sun can reduce eye damage. Quit smoking or don’t start since it can constrict blood vessels. This can in turn negatively affect blood vessel health of the eye and increase risk of eye diseases. Reduce screen time each day since looking at a computer, television, or phone screen too much without taking a break can put strain on the eyes. Therefore, experts suggest taking a break from the screen every 20 minutes by looking 20 feet in front of you for 20 seconds. Take a eye health supplement daily like Ocutain by Vita Sciences. Ocutain contains antioxidants such as lutein and beta carotene that can benefit vision health. Boyd, K. (April 13, 2018) “Who is at risk for glaucoma?” American Academy of Ophthalmology Online. Could a Cup of Tea a Day Lower Your Glaucoma Risk? On a cold winter’s day there is nothing better than a hot cup of tea to warm you up. 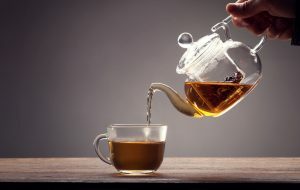 Depending upon the type of tea you consume, this warm beverage could provide you with a variety of different antioxidants to help benefit your health. In fact, a recent study has shown that a cup of hot tea every day may help reduce glaucoma risk. Glaucoma is the name for a variety of different eye conditions that involve damage to the optic nerve. Usually caused by an extreme amount of pressure in the eye, glaucoma is the leading cause of blindness in the United States. The most common form of this condition may not present any symptoms until it is too late. Therefore, it is very important to get regular eye check-ups to reduce your risk of eye health issues. Tea is a low-calorie beverage that can have anti-inflammatory and antioxidant properties. These benefits stem from the presence of the polyphenols epicatechin and catechin in tea. In particular, drinking green tea was shown to help lower LDL cholesterol, higher HDL cholesterol, and lower triglyceride levels. A recent study looked at the results of a eye exam and nutrition survey of 1700 participants. Those people that drank tea every day had about a 75-percent less chance of having glaucoma than those who did not. It is not certain what about tea drinkers makes them at lower risk. However, this lower risk was only seen in those that drank hot, caffeinated tea. Consuming decaf tea, cold tea, or either decaf or caffeinated coffee did not show any benefit. It is thought that lower glaucoma risk may be due to the lifestyle factors in those that drank hot tea six times or more per week. More studies will need to be done to identify the direct link. Besides drinking hot tea, there are several other ways to lower your glaucoma risk. The researchers suggest that prevention through regular eye exams is key, along with the following lifestyle behaviors. Get your heart health under control. By getting your blood pressure and diabetes under control, you can help decrease your risk of glaucoma. Use treatments as prescribed. Prescribed eye drops or other glaucoma medications can help reduce the risk of complications associated with the condition. In turn, treating such symptoms can prevent or delay the onset of vision problems associated with this condition. Exercise regularly. Walking or engaging in some sort of moderate exercise each day could help reduce the eye pressure related to glaucoma. Moderate exercise may include swimming, biking, aerobics, dancing, or anything that quickens your breathing without getting you out of breath. Wear eye protection. Be sure to wear sunglasses or goggles in the sunlight or when using any power tools or engaging in any high-speed racket sports. This is because when you reduce your risk of eye injuries, you also help reduce glaucoma risk. Take eye-healthy supplements. Ocutain by Vita Sciences contains a combination of eye-healthy compounds such as lutein and beta carotene, which promote healthy vision. Such supplements, along with a heart healthy diet may help lower your risk of eye conditions such as glaucoma. Could Excess Weight Shorten Your Life? According to the National Institutes of Health, the average American can live an average of 79 years. However, did you know that a few small lifestyle changes could add years to your life? It was found that for every few pounds you lose you could be adding years to your life. A recent study in Nature Communications looked at genetic data from 600,000 people in North America, Europe and Australia. Smoking, body fat, thought processes and the genes related to such can affect life span. Of all conditions observed, smoking and traits linked with lung cancer were found to have the greatest impact on reducing life span. Smoking one pack of cigarettes a day over a lifetime can lead to a loss of seven years of life. However, if a person quits smoking, they can get back those years and live as long as someone who has never smoked. Obesity is a common risk factor for heart disease and diabetes. However, body fat percentage and other factors linked with diabetes were found to decrease life span. Two months of life can be lost for every 2.2 pounds of excess body fat. This could be related to the increased risk of obesity-related conditions related to excess weight, but the direct reason for this result is not confirmed. Finally, those with an open mind may live longer than those who were not. For every year of studying done beyond school, a year is added to a person’s life. This could be related to those studying more having sharper minds as they age, but it is not confirmed why. By maintaining mental sharpness, you are helping to keep the body’s software up to date which aids in overall wellness. If you want to add years to your life, there are many things you can do. Eat better: A balanced diet of fruits and vegetables provide fiber that can help manage weight and keep blood glucose levels stable. Stay active: A good balance of cardio, resistance, and flexibility exercises can help you stay young as you age. Resistance exercises such as lifting weights, working with resistance bands, or performing push-ups, can help maintain lean mass. Lean mass can help keep you more mobile as you age and in turn prevent injury. In addition, lean mass can keep bones and joints strong and improve insulin resistance. Sleep more: While you sleep, the body regulates fluid, blood glucose, levels, and blood pressure. Therefore without the recommended 6-8 hours of sleep a night, you may be putting yourself at risk for chronic disease. If you have trouble sleeping, try reducing screen time before bed, getting blackout blinds, stop eating and drinking two hours before bedtime, or get a white noise machine. Check with your healthcare provider if pain or other health issues that may be keeping you up at night. Practice preventative health: Be sure to visit your doctor every year or more often to check for chronic disease risk factors. Knowing your numbers such as blood pressure, blood glucose, cholesterol, triglycerides, and vitamin levels are important for health tracking. If any of your numbers are out of range, you could increase risk for chronic disease and decrease quality of life. Take a multivitamin: To ensure you are getting your daily nutrients, try the Zestia multivitamin by Vita Sciences. Zestia contains a combination of fruit and vegetable extracts, probiotics, and digestive enzymes to help support an optimal quality of life. Could Hypertension Increase Dementia Risk in Women? If you have high blood pressure, heart disease may be the health concern most on your mind. However, high blood pressure can be a risk factor for more than just heart conditions. A recent study has found that women in their 40’s with high blood pressure have an increased risk of dementia. A systolic blood pressure of 140 mm Hg or higher and a diastolic blood pressure of 90 mm Hg or higher defines a diagnosis of high blood pressure, or hypertension. Systolic blood pressure is a measure of the pressure when the heart contracts, while diastolic blood pressure is a measure of the pressure in between heart beats. Hypertension occurs when there is some sort of damage or blockage that causes a narrowing of the blood vessels. This narrowing slows the flow of blood and oxygen to tissues and organs in the body. Over time, this delayed oxygen and blood flow can cause damage to cells in the body that can lead to disease. Therefore, high blood pressure can lead to increased risk of diabetes, kidney damage, stroke, and vision loss. A recent study in the journal Neurology looked at the medical records of about 5600 patients over 15 years to see who developed dementia. Those women in their 40’s with hypertension had up to a 73-percent risk of developing dementia. Although, the same was not true of women in their 30’s or of men in their 40’s. However, further studies must be done to determine the reason for these results. 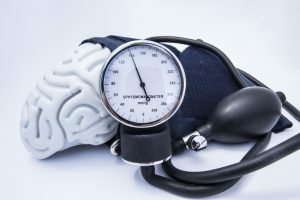 Previous studies have found a link between high blood pressure and dementia, but it was not clear if hypertension before the age of 50 was a risk factor for the condition. However, it is clear that the brain is a metabolically active organ that requires oxygen to function properly. Without oxygen, brain cells starve and become damaged causing disease and dysfunction. In order to get enough oxygen, blood flow to the brain must be healthy. Therefore, anything that prevents or delays blood flow, such as hypertension, could lead to cell damage in the brain as is seen in dementia. To lower your risk of diseases such as dementia, take the following steps to prevent or control hypertension. 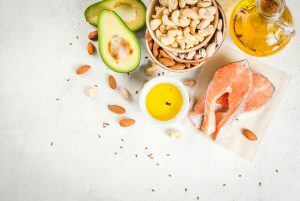 Eat a well-balanced diet of lean proteins, fiber-rich fruits and vegetables, whole grains, low-fat dairy, and healthy fats such as nuts, seeds, avocado, and plant-based oils. Be sure to limit your intake of sugary and salty processed foods which can increase hypertension risk. Stay active most days of the week. Walking, jogging, biking, dancing, and swimming are some ways you can stay active to keep your heart healthy. Try to be active for 30 minutes a day for most days of the week to help manage your weight and blood pressure. Limit alcohol intake to no more than one drink a day for women and no more than 2 drinks a day for men. Over this limit, alcohol can raise blood pressure and can also make it difficult to manage a healthy weight. Control weight since those who are overweight or obese have a higher risk for hypertension than those of a healthy weight. Don’t smoke since smoking can deprive your body of oxygen since it constricts blood vessels. In turn, smoking can increase risk of hypertension and related health issues. Take all prescribed medications to help manage hypertension so that damage to the body’s cells can be limited. Add in heart-healthy vitamins and supplements to your routine such as Presura by Vita Sciences. Presura contains a combination of hawthorn berry, niacin, and garlic extract to help support healthy blood pressure levels. Be sure to contact your healthcare provider before starting any new supplement regimen. It is important to make sure that any new supplements will not interact with your current prescribed medicines.